YMI USA » Why Go To the World Series? On Tuesday I dove into a sea of blue. You may think I went to the Atlantic Ocean or the Gulf of Mexico given my close proximity to both. Or, you may think I took a dip in a nearby lake (there are many in Central Florida) or my backyard pool. No, I instead flew to Kansas City for Game One of the World Series – royal blue shirts all around me. Just ten days earlier I laughed at a fellow Orlando resident who said he planned to go to the game if the Royals made the series. “You will be lucky to find a ticket,” I said. “And, if you do it will cost you a lot of money.” Ironically, I found myself on a plane Tuesday. He stayed home. My ticket was free. The plane ride, rental car, and food were not. Why Go To the World Series? What is the attraction? Why would anyone spend anywhere from $500 to $5,000 (FOX reported tickets sold for this much) to see a baseball game they could watch at home in a comfortable chair while eating affordable snacks (my Kaufman Stadium foot long hot dog and water cost me $14)? On January 28-31, prior to the next big sporting event, the Super Bowl, many will choose to attend another great event, the Youth Ministry Academy. Aside from the obvious (Florida in January and the most diversified selection of theme parks), why would people spend money to come to Orlando for the Youth Ministry Academy (only $235 for this ticket)? Championship games in a tournament format are guaranteed to pit two teams at the top of their game. While the Giants and Royals entered the tournament as wild card teams, they are, without a doubt, teams playing at the top of their game this October. They entered this final series with two post-season losses combined. Whoever wins the series will record more wins than any other team in Major League Baseball. Great hitting, pitching and defense are the hallmark of these games. The Youth Ministry Institute and Ministry Architects, the sponsors of the Youth Ministry Academy, are leaders in training, consulting and coaching youth ministers in the local church. That is their business. The keynotes by Kenda Creasy Dean and the workshops led by many practicing youth ministers are guaranteed to include great strategies, well thought out analysis of youth ministry best practices and moving spiritual moments. These individuals are at the top of their game. Great insight will be a hallmark of this event. 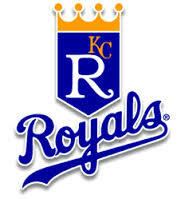 For Royals’ fans (which I am one), it has been a long time since their team played in the post season. I forgot what it felt like. The energy and emotions are exhilarating. Tears came to my eyes when they won the American League Championship Series. The experience was like discovering a forgotten friend. Whether you have never been to a professional training event or you attended one in the last month, it has been too long for you, too. On the plane ride, the guy to my left lived in San Francisco and owned season tickets to the Giants. He happened to have business in Kansas City. He showed me the video of him and his son at the National League title game at the moment the Giants clinched the championship with a walk off home run. The experience was a week old and amazing. But, it had been too long. Before the plane took off, he bought tickets to the game later that day. It is never too soon to go back and get more. Even if you plan on going to the National Youth Worker Convention next month, the Youth Ministry Academy will be the extra boost you need to insure your ministry stays on track. For sure, if you have never been to a training event, this one will more than satisfy your needs. For the last two months I have encountered a number of Royals’ fans in Florida with a greeting of “Go Royals!” This experience was encompassing more than the people with whom I was most familiar. Going to the game accentuated the experience. I had the feeling as if everyone was a Royals’ fan. The world was aware of the event I was attending. The baseball game still had nine innings. But, this was BIG! It is easy to get caught up in our own schedule, convincing ourselves we don’t have the time to get away. Our world becomes pretty tight. But, in those moments when it opens up, it is amazing at the possibilities before us. When we join together in something bigger than ourselves, we are challenged, energized and motivated all at the same time. When the Royals were losing Game One, the chant would start from a corner of the stadium. “Let’s go Royals.” It would spread to others slowly until the entire stadium began shouting in unison. That is the feeling you will get at the Youth Ministry Academy. God is bigger than our situation. When you are feeling at a loss, the shout will begin slowly, soon to reverberate through your entire being. Be part of something bigger in January. Register for the Youth Ministry Academy at iloveyouthministry.com. By the way, there are not any $14 hot dog meals at the Youth Ministry Academy. All of our meals are included with the registration!